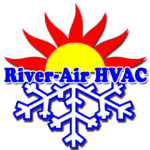 River-Air HVAC, LLC installs, services and retro-fits various heating and air conditioning systems for residential and small business applications. Different equipment brands that are used can be seen on our Equipment page. We are not limited to these brands, but have provided this list for your reference. If you would like to request more information, call (774) 230-6880, or you can use our CONTACT US page.